Tehran, Jan 5, IRNA - Enrollment of candidates for the 8th Majlis elections, slated for March 14, started Saturday morning throughout the country. Hopefuls will have one week to register for the parliamentary elections. 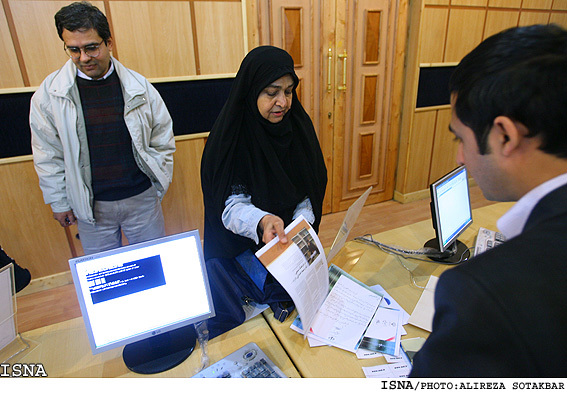 The 8th Majlis election and the by-election for the Experts Assembly in the constituencies of Tehran, Qazvin, Ilam and East Azarbaijan provinces will concurrently be held on March 14. All those having completed 18 years of age and above can participate in the elections and vote for hopefuls who run for the 290-seat parliament. Various groups and parties, together with independent candidates, should end their week-long electoral campaign 24 hours prior to the elections. Registration of hopefuls for the Experts Assembly by-election started in those constituencies on January 3. 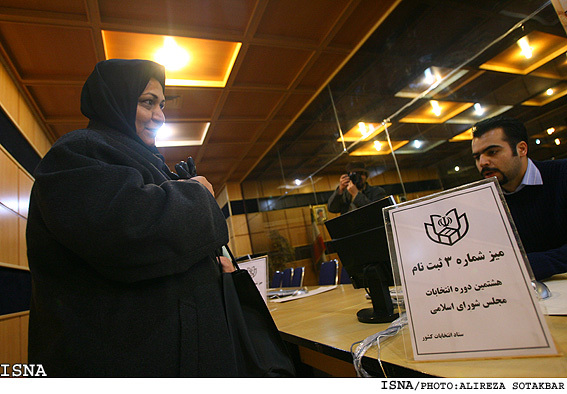 The Guardian Council spokesman, Abbas Ali Kadkhodaei, declared that the number of eligible voters in the March 14, 2008 parliamentary election does not exceed 43 million. In his weekly press conference, Kadkhodaei said, "Although the number of eligible voters is below 43 million, we're waiting for the Interior Ministry to declare the exact number. Otherwise, we'll announce statistics after expert examinations." Moreover, the statistics released by the chief of the Civil Status Registration Office are not valid, but the true statistics stand below 43 million. The Guardian Council spokesman asserted that in accordance with both amendment to election law and the Expert Assembly approval, the voting age is 18. So, anyone who is 18 years old or above can participate in the March 14, 2008 Majlis election.